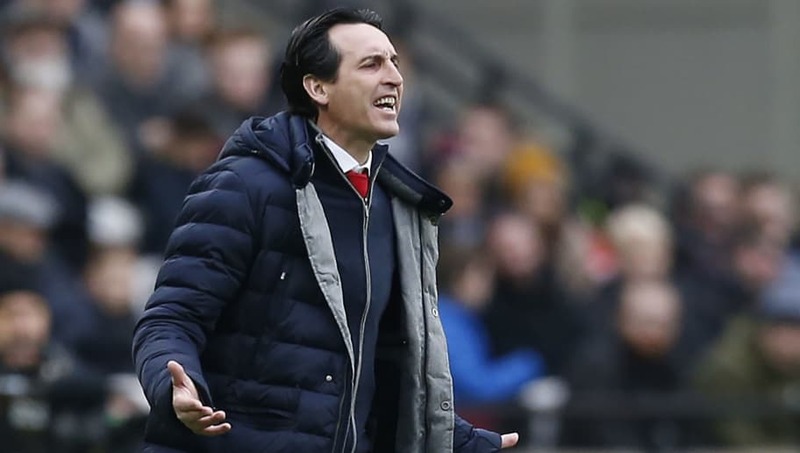 ​Arsenal boss, Unai Emery, admits his side will find it "more difficult" to qualify for the Champions League after Saturday's 1-0 Premier League loss to West Ham United. The Gunners were beaten courtesy of a Declan Rice's second-half strike, meaning they have now taken only four points from their last four Premier League games. To make things worse, both Chelsea and Manchester United won their respective fixtures, landing Emery's side in a difficult situation. "Now it's more difficult, it's clear," he told reporters, as quoted by FourFourTwo. "I think the most important thing for us is to recover our confidence and be more competitive. We need consistency over 38 matches. Now it isn't enough at the moment. It's a bad result. If we can win we are playing against Chelsea [on Saturday] with a three-point maximum distance." Arsenal have failed to win any of their past five matches on the road in the English top-flight. "It's our challenge. Each match is our challenge away," added the Spaniard. "We are working on that. It's also the opposition team. Like here [at West Ham], for example, they are with their supporters they feel good and strong and can push. We need to take more confidence, more performance collectively, being competitive away to change this moment. We started the season away well, being competitive and winning." Arsenal have little or no money in January. But that shouldn’t disguise the fact they have a huge Champions League size wage bill which only goes to highlight an underperforming squad. Bad recruitment, bad decisions. Big job for Emery. "And then sometimes we are doing but like today [Saturday] we need to do more to be more competitive and to impose our idea and our quality. Today West Ham also have very big players," he concluded.